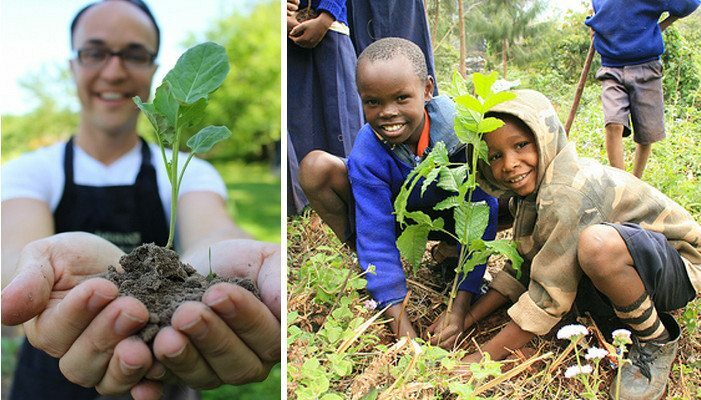 Eminence plants trees in 19 developing countries throughout the world including Burundi, Uganda, Ghana and Tanzania. In Africa, agroforestry provides families with the education and tools to create their own tree nurseries. The profits allow them to support their basic needs, while also benefiting the environment and fighting deforestation. Eminence has planted 4 Million TREES!!! Here at the Sunrise Wellness Spa we use Eminence Organic Skin Care line in out Customized Facials and we have these amazingly nourishing products in our boutique, so we decided to promote Forest For The Future by starting Eminence product punch cards! When you purchase 10 of our Eminence products you are also planting 10 Trees and then you receive a free gift as a thank you from us! Eminence is an organic skin care line made in Hungary that is free of all parabens, laurel sulfates and harmful ingredients! It’s made of all natural fruits and vegetables and these ingredients are also farmed and harvested organically! It’s a wonderful Eco-Friendly company and product!! Thank you to all of you that use and purchase Eminence products and help this project and these countries in need! Your skin loves you and so do we! !